A guide to the best baby and toddler friendly hotels in Zante including hotels near the beach, with splash parks and with activities for babies and toddlers. Read on to discover the best places to stay with babies and toddlers in Zante. The 4* Alykanas Beach Hotel is close to a sandy beach and just a 5 minute walk to Alykanas with its tavernas and shops. 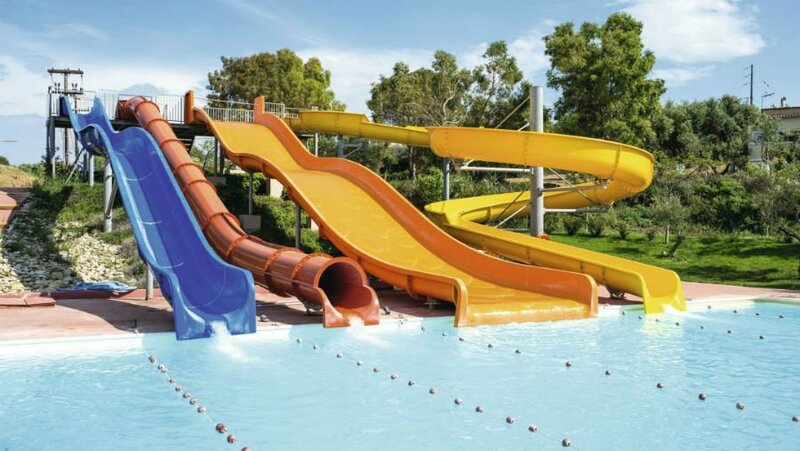 There is a splash park for children aged 5+ with loads of slides and a Children’s pool for lots of little ones. Toddlers will also love the soft play, playground and mini disco! 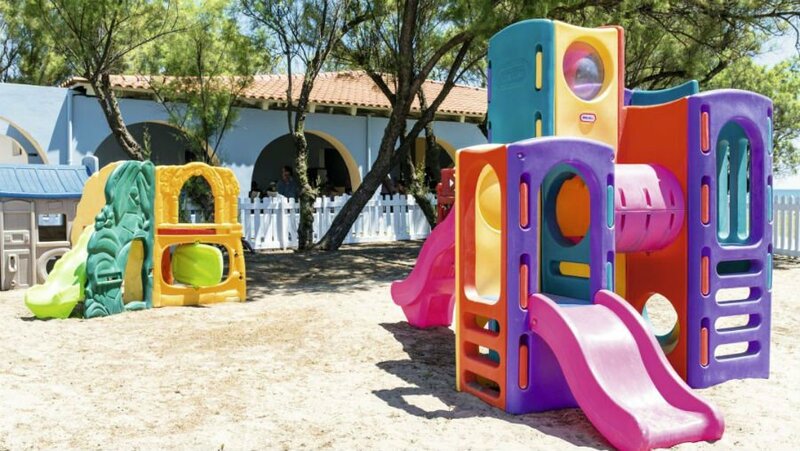 Babies are well catered for at the Alykanas Beach Hotel – there is a Baby Club which organises activities (payable extra) and lends out equipment to parents. 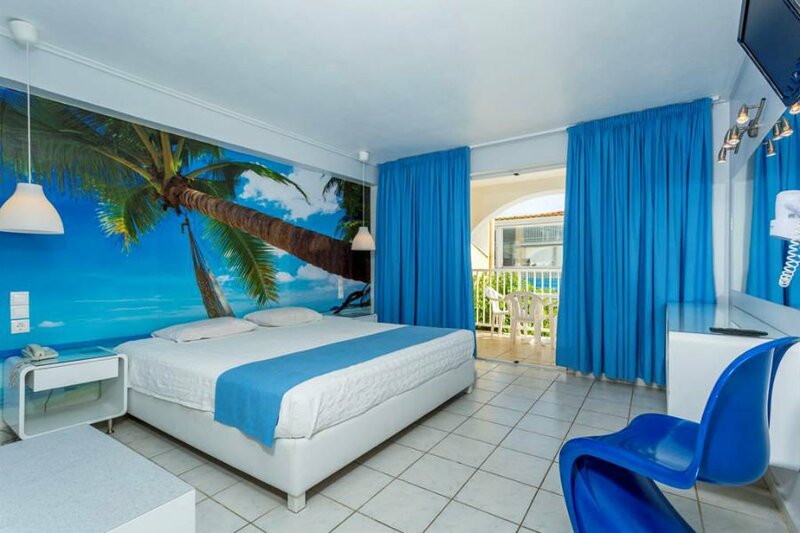 The Alykanas Beach Hotel has spacious family apartments – some of which have 2 bedrooms. All rooms have a balcony or terrace, air con, TV and WI-FI. 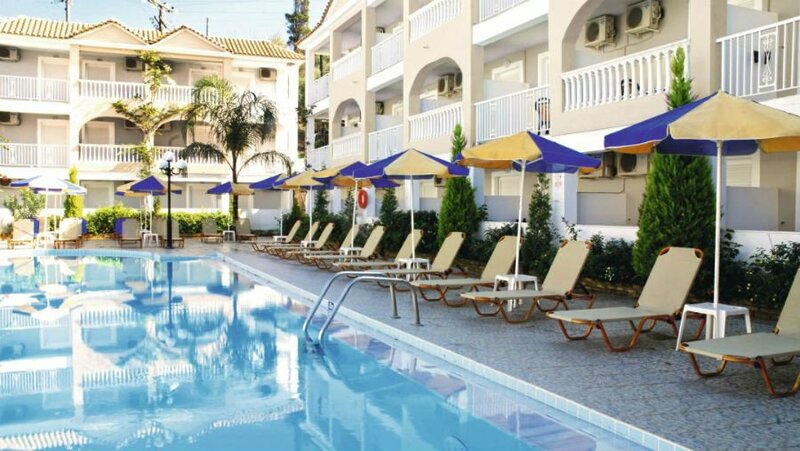 The new Aqua Bay Suites hotel is a great place for families with babies and toddlers to stay in Zante. Firstly, the beach is a 10 minute walk away, and then the hotel has a waterpark right next to the hotel. 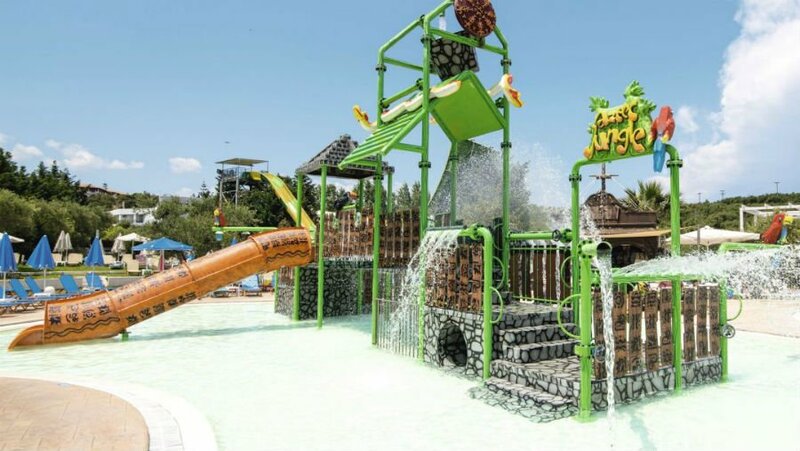 Toddlers will love the fountains in the Aztec Jungle area of the water park and the pirate ship with water slides! All stays between May and October get unlimited access to the waterpark. Family rooms are available, and for an extra treat you can book a Family Swim Up Room! Life revolves around the pool at the Planos Bay Hotel. The big swimming pool is surrounded by plenty of sunbeds and a pool bar which serves snacks. There is also a waterpark which is just a 5 minute walk away from the hotel and has a jungle area and pirate ship for little ones to play on. All stays include unlimited entry to the waterpark. Large family rooms are available and the hotel offers All Inclusive. There is a packed entertainment schedule at the Planos Bay too which includes a mini disco and family shows. The hotel also arranges parent and toddler activity sessions. 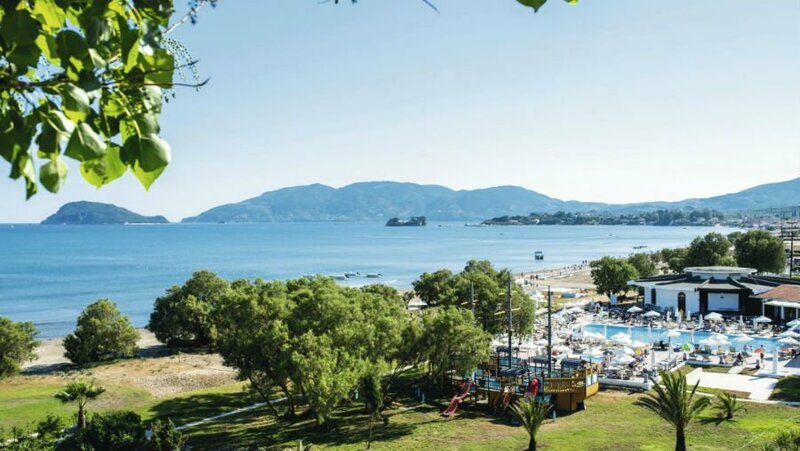 This 4* beachfront hotel is only 15 minutes from the airport so is great for families looking for a baby and toddler friendly hotel in Zante with a short transfer. It is in an idyllic location surrounded by a forest and situated on the longest beach in Zante. There is a massive swimming pool and a kids pool with a huge pirate ship play area next to it. The hotel boasts its own Greek Meze restaurant and is only a 10 minute walk from the resort centre of Laganas with its bars and restaurants. Family rooms and suites are available. The Atlantica Eleon Grand Hotel is in a great beachfront location between an olive grove and the Ionian Sea. The resort of Tsilivi is also just a 5 minute drive away too. There are 2 massive swimming pools at the Atlantica Eleon; one of which has a shallow splash area and another which has some waterslides too. Toddlers will love the hotel playground too! Family suites and all-inclusive basis is available too. The 4* Karras Grande Resort is in a great location in the centre of Tsilivi. It is a baby and toddler friendly hotel with a great value All Inclusive programme, and 3 fantastic swimming pools including a children’s swimming pool. The hotel is a short walk to Tsilivi Beach which is a long sandy beach with clear shallow water – perfect for toddlers to paddle in! There is also a fab shady little playground with swings, see saws and a roundabout. Family suites are available. The Filoxenia Hotel is a 3* hotel in a quiet area which is also close to the pretty resort of Tsilivi. There are 3 outdoor swimming pools including a children’s swimming pool, a playground and also an indoor soft play area. Bright and comfortable family rooms are available, as well as a great value all inclusive programme. 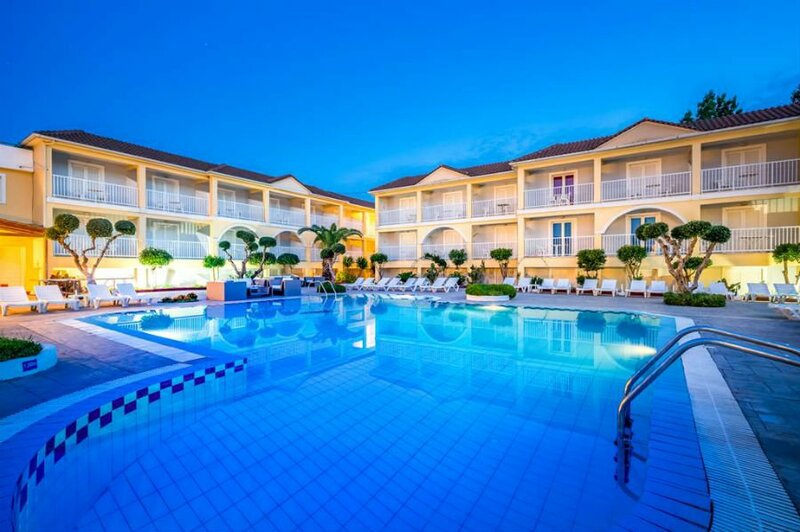 The Suneo Club Tsilivi is a great hotel for families looking for baby and toddler friendly apartments in Zante. It is a 5 minute walk to a sandy beach, and it is also close to a waterpark too. There are 3 outdoor swimming pools and another separate children’s swimming pool. There is even a themed play room which little ones will love! The bright and airy apartments are surrounded by pretty gardens filled with palm trees and flowers. The hotel has a great entertainment schedule with children’s parties and cabaret shows. Can you recommend any baby or toddler friendly hotels in Zante?